Hi All! Cynthia D’Alba here. 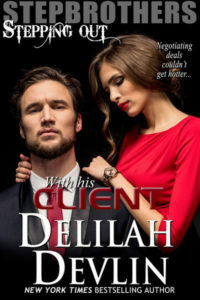 Mega thanks to Delilah Devlin for being the Kick-Off blog for my Texas Tango Release Tour. 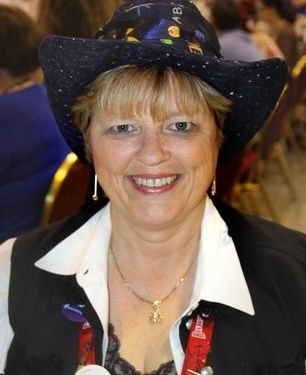 Even today, I love to dress up in my cowboy hat, boots and denim. Makes this city girl feel just like a real cowgirl. In TEXAS TANGO, both my hero and heroine are wearing masks to the outside world. Travis, as the long-suffering widower and Caroline, as the happy-go-lucky doctor with nothing to tie her down. Sometimes a costume can be fun, like the one I’m wearing in my picture for a book signing. But other times, the costume and mask are hiding true feelings from the world as well as the wearer, as in TEXAS TANGO. I wanted Travis and Caroline to have to face what they really want out of life and have to confess it to themselves as well as to the world. 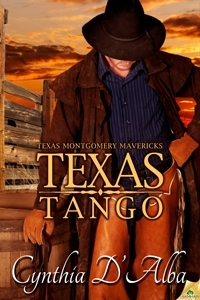 TEXAS TANGO releases from Samhain Publishing in one week. 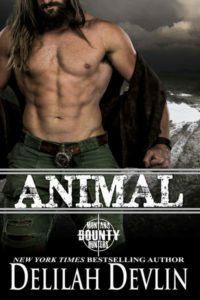 It’s the second book in the Texas Montgomery Mavericks Series. Here’s a little more what it’s about. Want more? Click HERE for the opening of Chapter One. TEXAS TANGO can be pre-order now from any of the stores listed below or check your favorite online store to purchase. Thanks again to the Delicious Delilah Devlin for having me here today. I love love love to hear from readers and there are lots of ways to find me. Online, you can find me most days at my website or my group blog. Now for the fun stuff! I have an exclusive two-day giveaway running today and tomorrow. Tomorrow I’ll be here. You can sign up both days. So what might you win? Check out the Rafflecopter below! Good luck. AND as my Release Tour moves into November, I have incredible jewelry prizes and some personalized prizes. So be sure to check my personal blog every day. It’ll remind you where I am that day so you can earn lots of entries. And last, but not least, I have freebies for the asking. Texas Tango Cowboy Hat jar openers, Texas Two Step Cowboy boot jar openers, pens, postcards, trading cards. Drop by my contact page and let your request there. 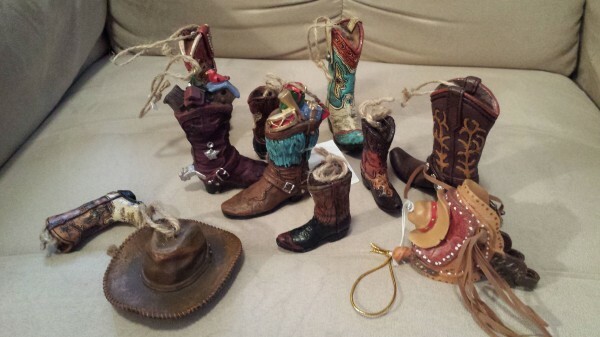 One lucky person who leaves a comment here today will pick up a western-themed Christmas ornament, so be sure to leave an email address so I can find you. Thanks Delilah for inviting me over today! Hope to see some of you on my upcoming tour stops.